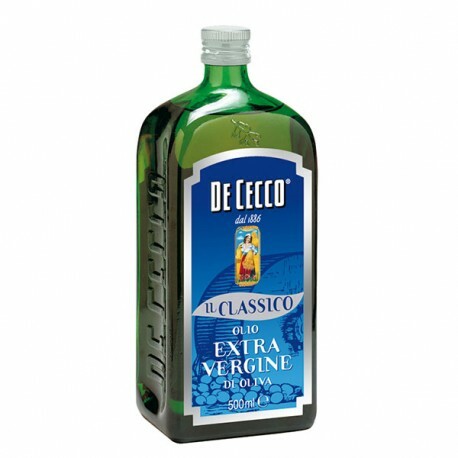 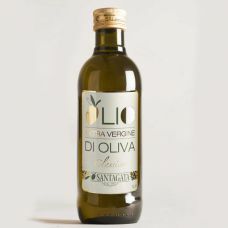 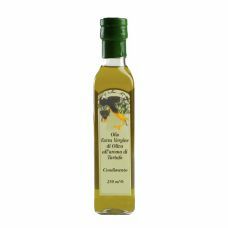 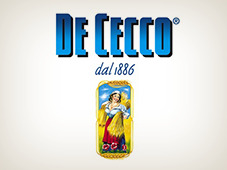 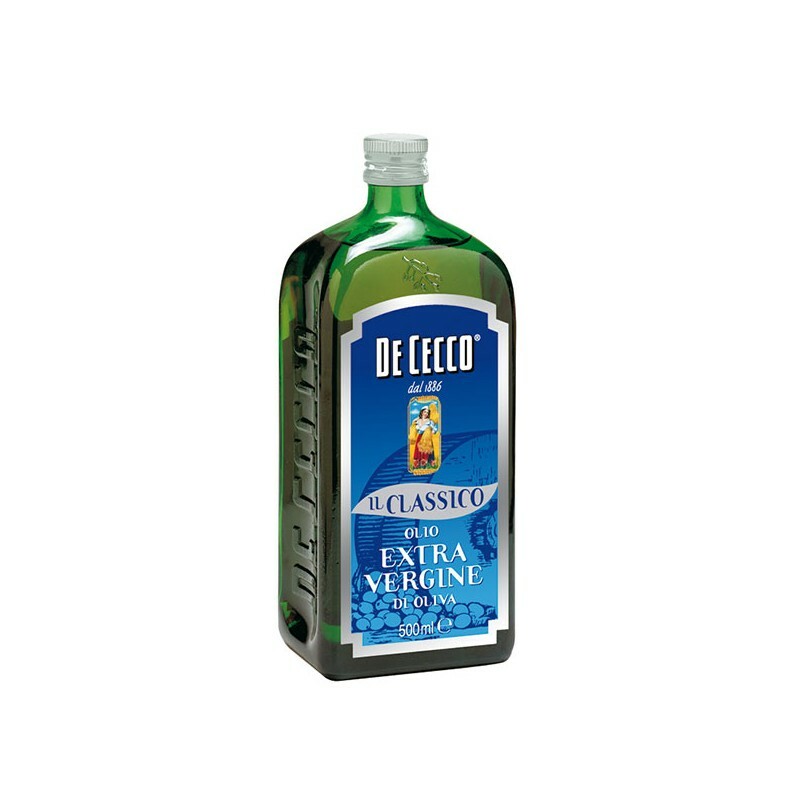 De Cecco Extra Virgin olive oil "classic"
De Cecco's Classic Extra Virgin Olive Oil is top quality and is the result of an accurate selection of the best extra virgin olive oils. 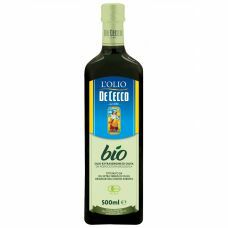 It is a high quality oil which distinguishes itself for the green reflections in its yellow-based fluid and for the clear perfume of olive with hints of herbal aroma. Its enjoyable and balanced full taste is lightly enhanced by a pleasing prickly spice; its harmonious flavour can satisfy the most demanding palates highlighting the taste of every dish. 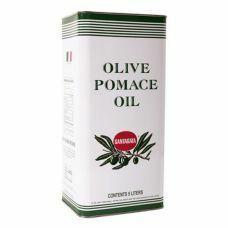 Its ideal use: it's at its best all ways raw, in cooking and frying.